Website design for non profit outreach Hampton VA | This legacy web design developed years ago continues to generate online customer leads and support the existing customers. 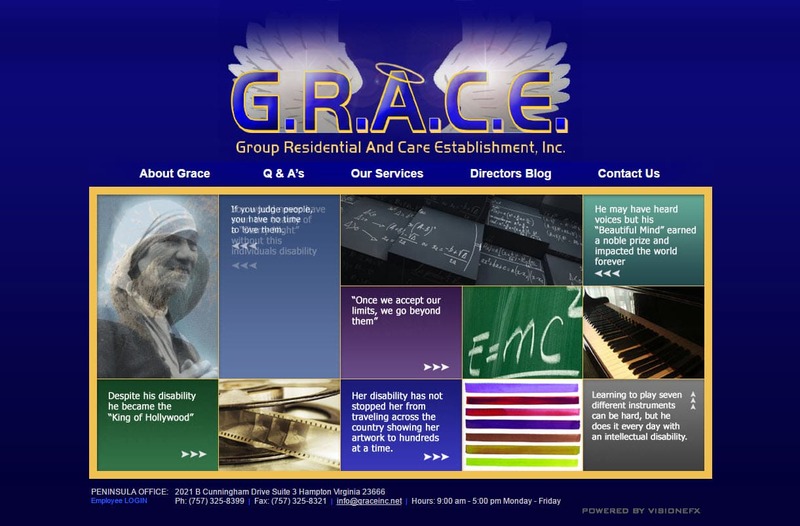 The website was built in open source HTML and Windows classic ASP. G.R.A.C.E. Inc. has offices based in Hampton, VA. The VISIONEFX team provides the finest in website design for healthcare providers. VISIONEFX is a Web design company based in Virginia. We provide services to national companies as well as small to medium businesses throughout the USA. Our services include; custom web design, web development, E-commerce web design and product database programming, Word Press web design, Word Press Plugin customization, Joomla web development, SEO – search engine optimization and website maintenance and support with an enthusiastic sense of urgency. Call VISONEFX at (757) 619-6456 or email direct to info@visionefx.net.